What areas of face or body concern you the most? Do you desire immediate results or improvement gradually over time? Are there social constraints in terms of employment or family/friends in which desires little downtime or no visible stigmata of cosmetic interventions? Have you had procedures in the past and what is your comfort level with cosmetic procedures? Your cosmetic consultation is an important time to set expectations, define goals clearly, and to educate you on the options for treatment. Approximately half of my time during your cosmetic consultation, on average, is spent re-educating you as to the process of facial ageing. A discussion between us on how skin, muscles, soft tissues, and even bones change over time is critical to developing a meaningful treatment plan for you. From this discussion, you will learn to appreciate that facial ageing is not an isolated problem localised to a nasolabial fold or a jowl, but instead a culmination of global changes in the skeletal, soft tissue, and cutaneous compartments. Global harmony rejuvenation not only addresses a nasolabial fold, but also creates a more youthful visage overall. 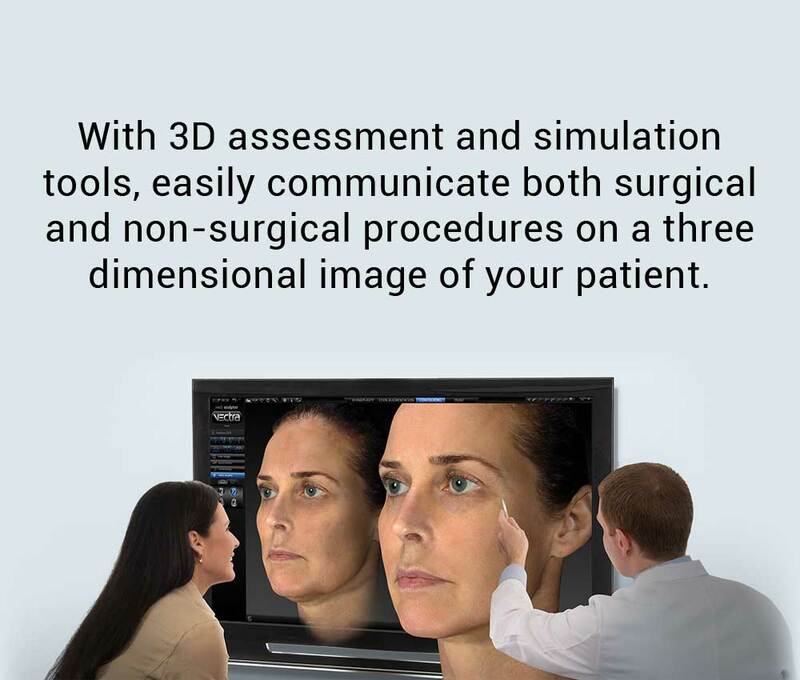 Vectra brings the best in consultations using our high tech clinical 3D imaging which allows us precise treatment planning. Satisfaction is at the heart of everything we do here at Renu. So what can we achieve?? At your consultation we are now able to deliver precise treatment modalities that lets you see the results before the treatment. 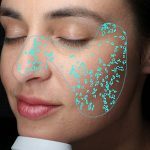 Our system is ideal for those considering facial aesthetics, skin analysis and much more. It complements our skills and our practice to help set new standards in non surgical aesthetics. We will come to a shared understanding of your treatment objectives and help you decide on the best possible treatment plan. We will be able to show you the difference between the likely outcome of a single procedure or by combining multiple treatments. The exciting possibilities of your anticipated aesthetic procedures using your own image. We will be able to explore the achievable outcomes and educate you about your options. We will also be able to explain the limitations, and set your appropriate expectations. Our VISIA’s multi-point positioning system and live image overlay means it is easy to capture perfectly registered images that document progress over time. The Rotating module captures left, right and frontal facial views giving us a better consultation for you. We will then select the best recommendations from the built-in library of skin care products from ZO and Epionce as well as the best treatments. Our staff will advise the best rejuvenation and skin care treatments more effectively with our clear recommendations on our analysis results. Your personalised printed report will record easy to understand information for you. With ViewMyConsult, we can stay connected with you as you consider the possibilities of aesthetic procedures. You can view your pictures, treatment recommendations, and treatment progress at home using a secure, password-protected web portal. Spots are typically brown or red skin lesions including freckles, acne scars, pigmentation and vascular lesions. Wrinkles are furrows, folds or creases in the skin. Texture is the analysis of the skin’s smoothness. Pores are the circular surface openings of your sweat gland ducts. Brown Spots are lesions on the skin such as pigmentation, freckles and melasma. Red Areas represent a variety of conditions such as acne, inflammation, rosacea as well as spider/thread veins. Porphyrins are the bacterial excretions that can lodge in your pores which can lead to acne and other dermatological skin conditions. My goal is to involve all my patients in the diagnosis, treatment alternatives and also the planning of treatments. Through the detailed planning we can prioritise areas that we want to treat and the most cost effective results can be achieved. Using the Galderma/Merz portfolio of products we can help you achieve the most satisfying outcomes. We will take into consideration your budget and advise accordingly.